Having two children who suffer from dairy allergies, I have always been concerned about their vitamin intake. There are a lot of foods that as a family we substitute for dairy free alternatives. We mainly use coconut milk (Koko Dairy Free is my personal favourite) for things like cereals or baking which contains the same amount of calcium as semi-skimmed milk. We use sunflower spread (Vitalite) instead of butter which is also used in all of our baking, this is rich in Vitamin E which is good for skin and eyes and strengthens the immune system. 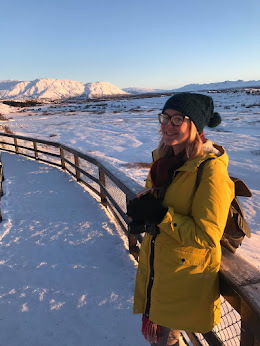 We are lucky that there are so many alternatives for dairy free diets now and I would say that it has improved a lot in the 5 years since Zach was first diagnosed. Dairy products provide protein, Vitamin B12, B2 and Vitamin D and minerals such as potassium, calcium and phosphorous. Many of which can be carefully replaced with certain foods. There are many fruits and vegetables rich in potassium including sweet potatoes, tomatoes, bananas and avocado. All of which are quite easy to work with, Zach and Elsie both love sweet potato and bananas. As everyone knows the best source of vitamin D is sunlight. Vitamin D is essential for the normal growth and development of bones in children, plus maintains normal teeth. We may be lacking sunlight at this time of the year but it is still important to get outside when you can. Food sources include oily fish, egg yolks, liver and mushrooms. This is where I struggle as my kids hate all of those foods. Luckily many milk alternatives also contain vitamin D which is where the dairy free milks, butters, yoghurts etc. all become important as they are usually fortified with vitamin D. The same can be said for Vitamin B12, milk and yoghurt alternatives are usually rich in this very important vitamin which is naturally found in meat, fish, vegetables and grains. It is absolutely possible to still keep a child healthy and thriving with a dairy free diet by carefully using the right food substitutes but even still it is a great idea to give them daily multivitamins. 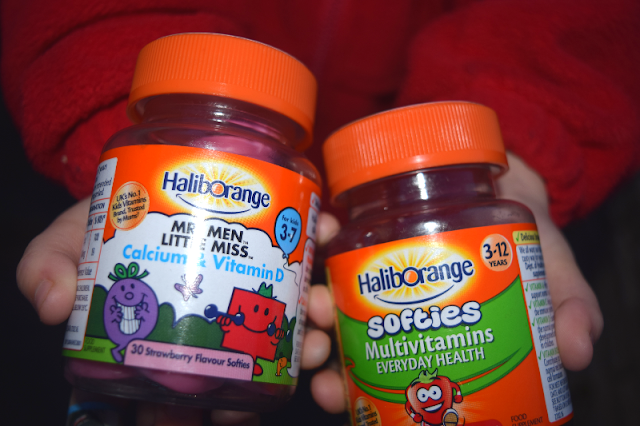 Haliborange is the UK's number one children's supplement brand*. They are so proud of their softies range that they are sure your children will love the taste, and if they don't, they'll give you your money back (T&Cs apply-see website). The range features a whole of host of different combinations of essential vitamins and minerals to help support children’s health and wellbeing at every stage – from age one month to their teenage years. Vitamin A: helps support normal vision, Vitamin C: helps support the immune system, Vitamin D: essential for the normal growth and development of bones in children, Vitamin B12: contributes to normal energy release. Yes they are really tasty. My kids love them too. Although they eat well it does make me feel much better! My nephew loves his supplements which he calls his medicine and quite happy to take them without fail. I will be introducing Haliborange to my SIL for sure. I think they definitely make a difference to their overall health. I’ve seen these in Tescos, but it’s always scary buying supplements from a brand that’s not well known (especially as I need my vitamins), will give these a try next time I go. Haliborange have been around for a long time I think they have just changed their packaging over the years. It is definitely the brand I trust most. I also gave them to my children when they were growing up. Yes I am sure I had them as a child too! They have certainly been around a long time! I can really identify with the worry that your children aren't getting enough vitamins. My eldest had dairy intolerance as an infant, and even now at 7 has a very selective diet - not much fresh food at all! So vitamin supplements are very important for him. Yes I have a 5 year old and a 3 year old who are still intolerant. They eat well but I still worry about things like calcium. I did too! Glad it has reminded you. I think you can buy them from most supermarkets or boots etc. Haha the fact they taste like sweets and not chalk is a plus too! I think supplements are great for this. I’m fortunate that I don’t have any allergies or intolerances. But some great tips here. Yes I had no experience with allergies until my children had them so they have been a great help.